With NEH funding, States of Incarceration fosters community dialogues on the topic of crime, punishment, and mass incarceration in the United States from a broad range of perspectives. Image courtesy of the Humanities Action Lab. 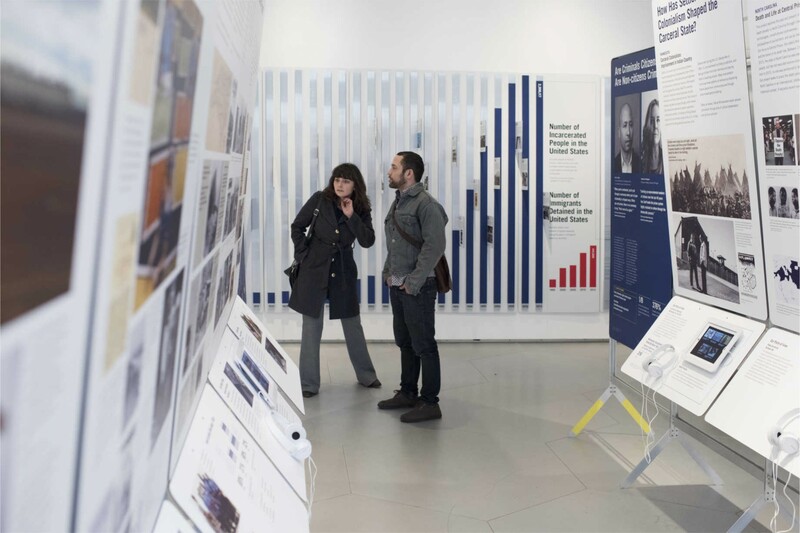 A project of the Humanities Action Lab, States of Incarceration fosters community dialogues on the topic of crime, punishment, and mass incarceration in the United States from a broad range of perspectives. The NEH-funded program is the result of collaboration between more than 500 people associated with 20 universities and colleges from across the nation. At each higher education institution, faculty offer a course that, in partnership with a local organization, tasks students with investigating the history and present of criminal justice in their communities. 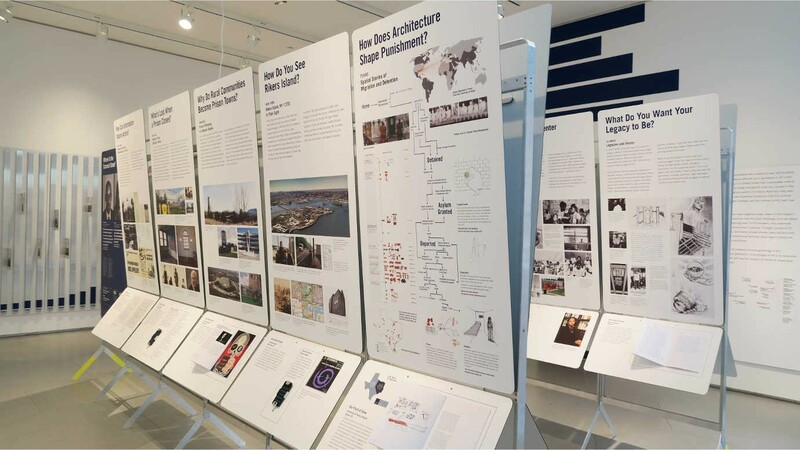 The students then used what they learned to design and curate a section of a traveling exhibition, as well as to contribute to an online platform that hosts essays, works of art, and oral histories. Cumulatively, these local stories offer a new way of looking at a national issue. Students at each participating school design a panel for States of Incarceration. Image courtesy of the Humanities Action Lab. The students’ work varies, moving from archival research to site visits and dialogues with people who are currently imprisoned. At DePaul University, students and incarcerated men discussed the future, asking “what do you want your legacy to be?” At Skidmore College, students learned about the support that those who are incarcerated lose when a local prison closes. And at the University of New Orleans, students considered the legacy of slavery and Jim Crow at Angola Prison. States of Incarceration has recently established several new partnerships with colleges that are located in communities where prisons are the major employer. The students, many of whom are being trained as corrections officers, will contribute stories to the exhibition. 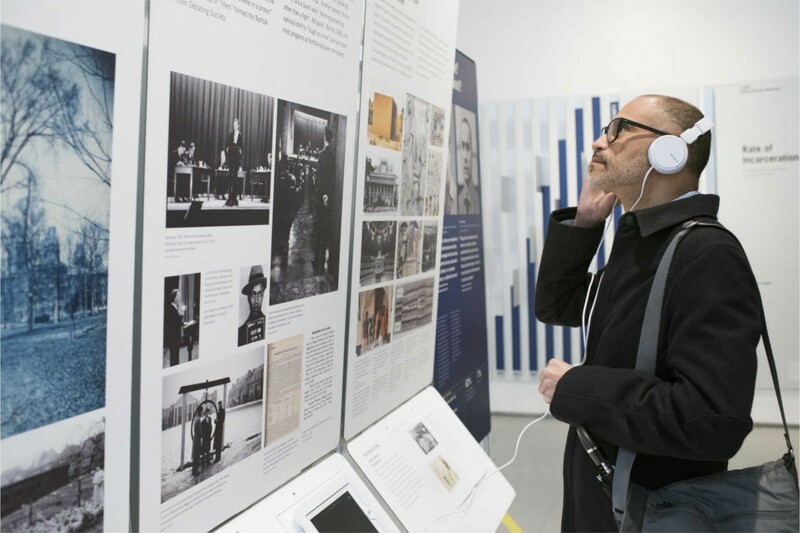 A visitor listens to an audio component of States of Incarceration. Image courtesy of the Humanities Action Lab.